Back on the market because Buyer did not fill out application for approval with correct information. 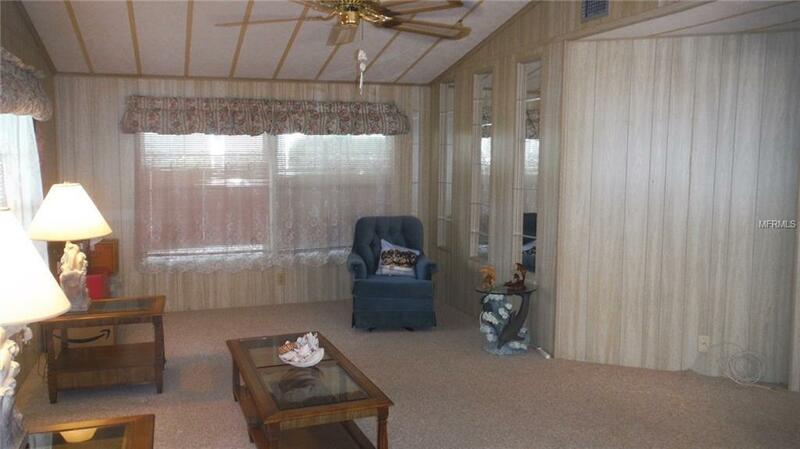 2 bedroom 2 bath 1344 square feet in this mobile home which allows a cat or a dog up to 25 Pounds. 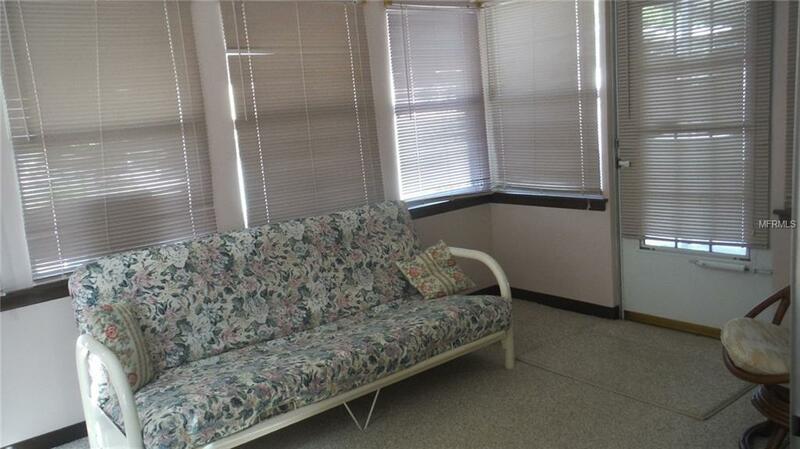 This home has a front porch with newer windows and a wall unit air conditioner. The rest of the house has central heat & air. The 11X22 living room has cathedral ceilings. This home is not far from the Phase 1 clubhouse, heated pool & spa, if you walk over the little foot bridge. The vapour barrier was installed Nov 26/18 by Under house Services (Janet). 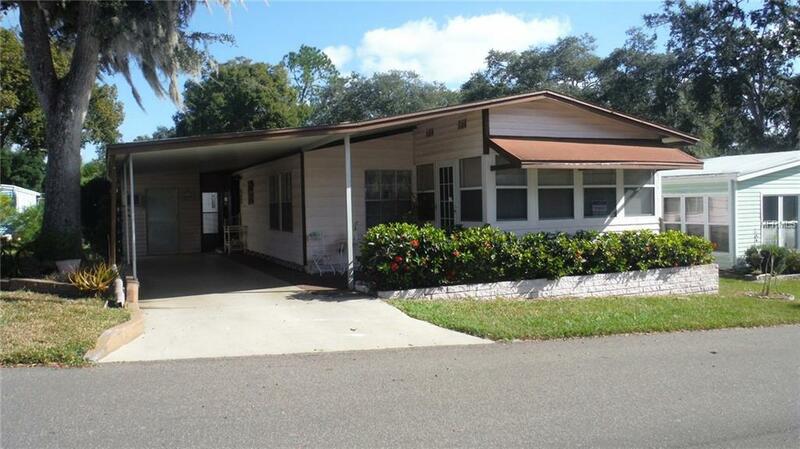 There is a double shed with washer, dryer, laundry tub, workshop, & wall unit air conditioner. 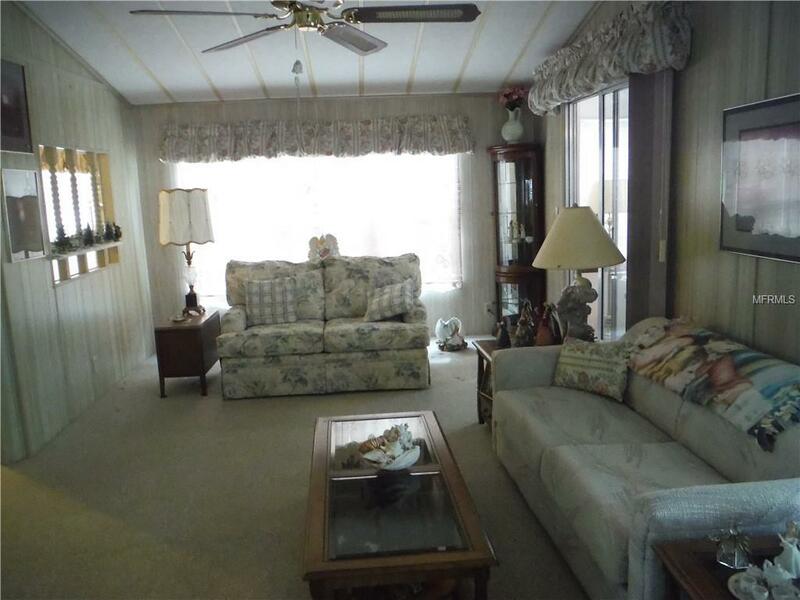 This home appears to be well maintained, although it needs a little updating. NOT in a flood zone. Maintenance fee is $164/Month which includes water, sewer, trash, private roads, lawn, heated pool & spa, clubhouse, shuffleboard, and many activities including a library and ping pong. 55+ community. Great retirement community. Room measurements approximate.